A school district must post a variety of financial and budget information within 15 days after adopting its annual budget. The statute also includes certain format requirements for presenting the information. Section 18 (2) of the Public Act 94 of 1979, The State School Aid Act, requires each school district and intermediate school district to post certain information on its website within 15 days after a board adopts its annual operating budget or/and subsequent revision to that budget. 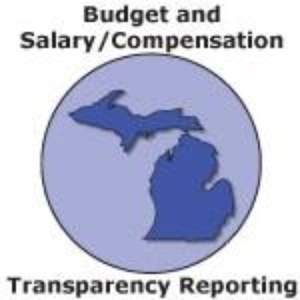 The Annual Budget & Transparency Reporting is an opportunity to communicate to our community on how we utilize the resources that are provided to us. Section 388.1618 (2a) - Annual operating budget and subsequent budget revisions. Section 388.1618 (2b) - Summary of district expenditures represented in pie charts. Section 388.1618 (2c) [v,vi] - Procurement of supplies/materials/equipment and categories of reimbursable expenses policies. There were no district paid lobbying costs for 2015-2016. There was no out of state travel to report in 2015-2016. In accordance with Public Act 173 of 2015, a school district shall post on its public website information about the evaluation tool or tools it uses for its performance evaluation system for teachers and administrators. In accordance with the Natural Resources and Environmental Protection Act 451 of 1994 Section 324.8316, a school district shall provide advance notice of the application of a pesticide at least 48 hours before the application.